MainAll NewsMiddle EastIs the U.S. releasing aid to the PA? Is the U.S. releasing aid to the PA? State Department has transferred dozens of millions of dollars to strengthen the Palestinian Authority's preventive security services. The State Department has in recent days transferred dozens of millions of dollars to the Palestinian Authority’s (PA) preventive security forces. 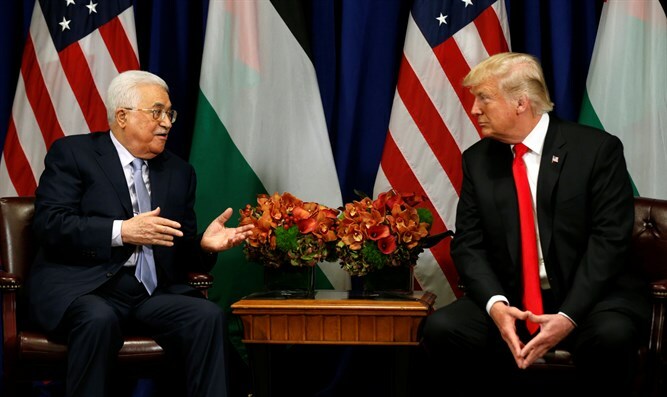 The funds were transferred to the PA despite the White House's recent announcement that it had decided to re-examine the aid provided by the United States to the Palestinians, in light of the ongoing disconnect between the sides since the decision to relocate the U.S. embassy to Jerusalem and recognize it as the capital of Israel. The funds transferred do not amount to more than 12% of the budget originally due to be transferred to the PA and which stands at close to $240 million. However, a source in the administration said that it is not certain that the transfer of funds will continue. He noted that the administration is examining the situation in the PA and only after this examination concludes will it decide how to act and whether to assist the PA in the future. They also claimed that there is a "real concern" that a drastic cut in funding to the PA will worsen the humanitarian crisis in Gaza, and that the U.S. "cannot" refuse to aid the PA. Any aid not transferred to the PA since January, they insisted, must be transferred now. This will "save innocent lives" and "prevent Hamas from taking advantage of the situation," they claimed.